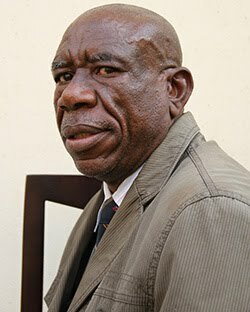 CHIREDZI - Zanu PF supporters have accused party provincial deputy chairperson Ailes Baloyi for allegedly diverting 200 litres of fuel which was provided by the Commercial Sugarcane Farmers Association of Zimbabwe (CSFAZ) to ferry party supporters and senior government officials to the commissioning of Tokwe Mukosi Dam last week. Baloyi signed for 200 litres of fuel donated by CSFAZ for the purposes of transporting supporters to and from Tokwe Mukosi where President Mugabe was commissioning the dam. "He organised with the DA that they hire a bus which was supposed to transport senior government officials and Zanu PF supporters to and from Tokwe Mukosi and had instructed the DA to use the fuel which they had sourced from CSFAZ. "He then later said all the fuel was finished after the bus had travelled only three trips leaving many people stranded," said a source. When contacted for comment, Baloyi denied the accusations and blamed intra-party mudslinging for what he said were attempts to smear him. "You know people have already begun campaigning and they are trying to tarnish my image with useless things. It's true that I signed for 200 litres of fuel and we gave 40 litres to the bus and the remaining fuel was allocated to the trucks that were hired to ferry other people," said Baloyi. District youth chairperson Philip Chiedza admitted there were challenges in getting some people back to Chiredzi due to errors in fuel allocation. Chiredzi South legislator Rtd Brigadier General Kalisto Gwanetsa was the one who bailed out the victims by supplying the required fuel to take them back.